I am a current professional football player who understands the pressure that both competitive sport and everyday life can place upon your body. 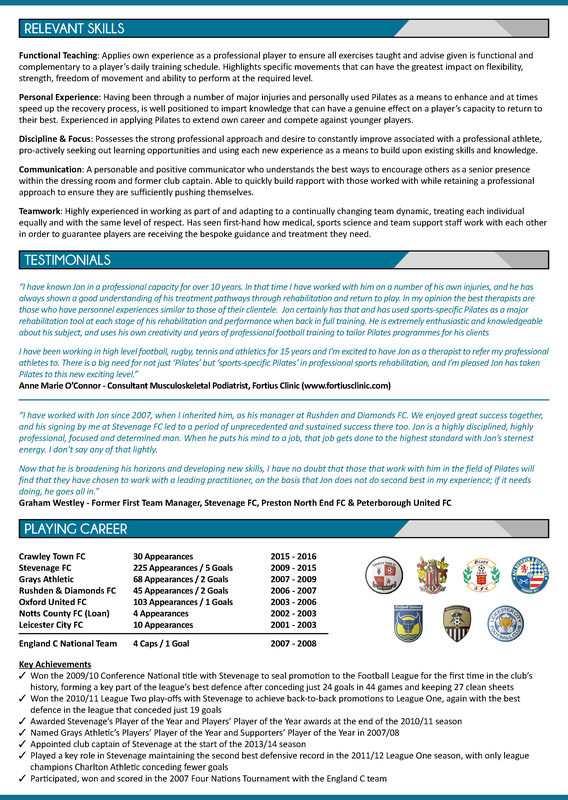 Over the course of my career I have been fortunate to be a part of title and promotion winning teams, as well as earning individual honours and representing my country as part of the England C Team. As with so many athletes, I have suffered a number of injuries that could have severely impacted my performance and entire career - from rupturing my achilles tendon to suffering a labral tear in my hip. Pilates has helped me throughout every period of rehabilitation to return a stronger, more mobile and better conditioned athlete. The tangible benefits have led to its regular incorporation within my fitness and maintenance program, facilitating injury prevention and allowing me to maintain peak performance levels even in these later stages of my playing career. 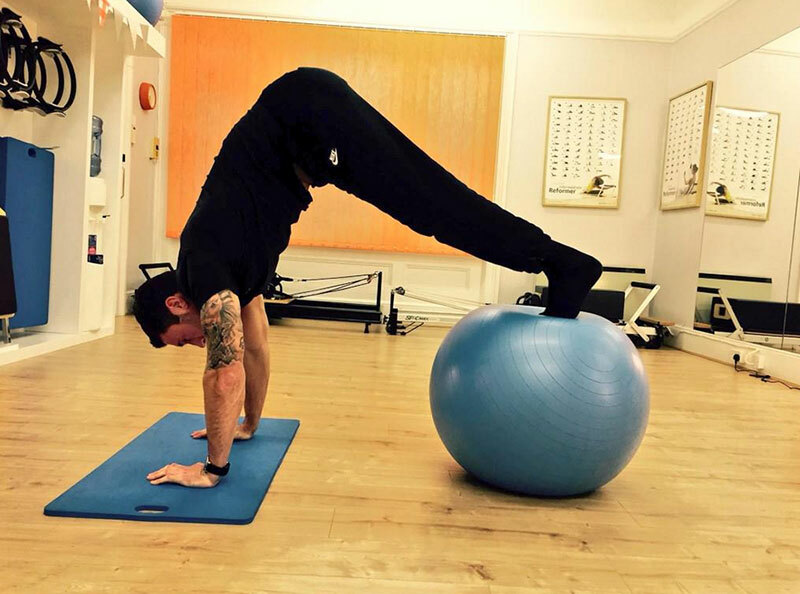 Pilates has most definitely prolonged my career in football and played a significant role in the success that I’ve achieved. I have increased the flexibility of my muscles, improved the mobility of my joints and overall my body is stronger and more able to move in the way that I want it to. My only wish that I had discovered it sooner, which is why I have established Ashton Pilates to help athletes and people from all sectors and backgrounds. For more information on my career, please see my CV below. 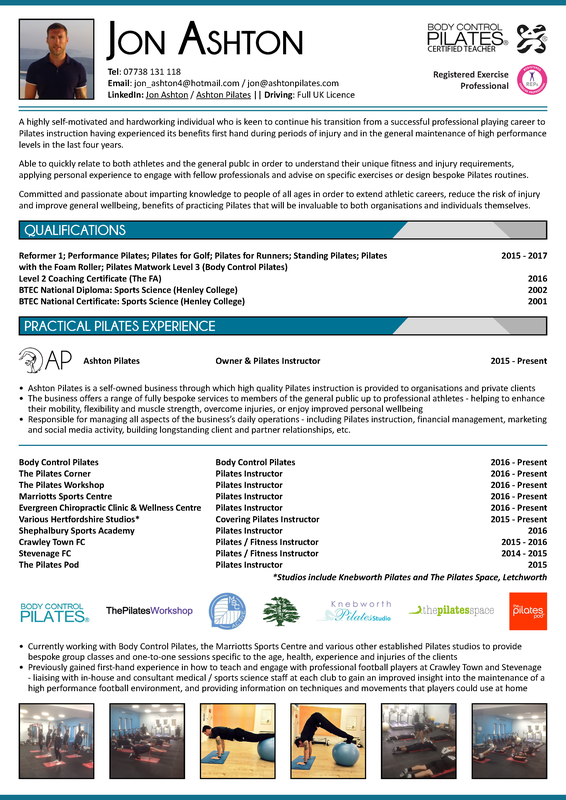 Began practicing Pilates as a means to extend own career and improve in-game performance. Won the Conference National title, sealing promotion to the Football League for the first time in the club’s history.